The Moscow Basmanny Court, on Sunday, sanctioned the detention of three additional suspects in the case of the murder of Russian politician Boris Nemtsov. Meanwhile, Daur Dadayev , a former Chechen officer pleaded guilty for his involvement. The developments prompt the President of the Russian Federation’s Republic of Chechnya, Ramzan Kadyrov, to launch a probe into the republics security services and a probe to identify what may have motivated Dadayev, whom he knew as a loyal officer, to get involved in the crime. The three additional suspects whose arrest was sanctioned by Moscow’s Basmanny Court are Khamzad Bakhayev, Tamerlan Eskerkhanov and Shagid Gubashev, reported the Russian Tass news agency. Zaur Dadayev arraingned to the Court. Photo, courtesy of Mikhail Pochvev, Tass. The Court stated that it reached the conclusion to support the investigators’ request after having reviewed the materials presented to the court. Gubachev was arrested on March 7 while Eskerkhanov and Bakhayev were arrested on March 8. The three were charged under Articles 105 and 222 of the Russian Federation’s Criminal Code, involving the murder committed by a group of persons, in collusion, and for reasons of money, as well as with robbery, extortion and banditry and the illegal possession or transfer of weapons. The Court justifies their detention on the grounds that the suspects could flee and possibly attempt to destroy evidence. Bakhayev and Gubachev are nationals of the Russian Federation’s Republic of Ingushetia while Eskerkhanov is a native of the Republic of Chechnya. All three had a registered address in Moscow. The Court also sanctioned the detention of the Chechen nationals Zaur Dadayev and Anzor Cubachev who had been arraigned to the Court. Dadayev’s Confession prompts Response by Chechen President Ramzan Kadyrov (left). Judge Natalya Mushnikova was quoted by Tass as saying that “Zaur Dadayev’s involvement has been confirmed by his confession”. The Court would not provide details about Dadayev’s alleged or confessed role in the murder of RPR-Psarnas party Co-Chair Boris Nemtsov during the night from February 27 to 28. Questions about Federal and Chechen Security Forces. The alleged and confessed involvement of a former Chechen officer is bound to raise concerns about federal security. The reasons for Dadayev’s dismissal are, as Ramzan Kadyrov noted, still unknown to him. Dadayev and his four co-defendants must be presumed innocent until they, eventually, have been found guilty beyond a reasonable doubt in a court of law. A probe into the reasons for the dismissal of Dadayev from the Interior Ministry forces and a probe into Chechen security forces could eventually shed light on severe threats to the national security of the Republic of Chechnya and the Russian Federation as a whole. Western and Arab Support of Terrorists could justify a Mole-Hunt in the Russian Federation’s Security Services. Chechen and Ingushetian Islamist terrorist organizations are known for their close ties to foreign intelligence services. In 2013 the then Chief of Saudi Arabia’s Intelligence, Prince Bandar admitted that Saudi Arabia uses and controls Chechen and other Caucasian terrorists promising President Putin “a safe Winter Olympic Games in Sochi” in exchange for Russian willingness to have a Saudi-friendly regime installed in Syria. “I can give you a guarantee to protect the Winter Olympics in the city of Sochi on the Black Sea next year. The Chechen groups that threaten the security of the games are controlled by us, and they will not move in the direction of the Syrian territory without coordinating with us. These groups don´t scare us. We use them in the face of the Syrian regime but they will have no role or influence in Syria´s political future”. Chechen President Ramzan Kadyrov, for his part, has previously accused U.S. intelligence officials, including David Petraeus, for involvement in “flipping” detainees at Camp Bucca and at black CIA sites, including Caliph Ibrahim of the self-proclaimed Islamic State (ISIS / ISIL) Al-Baghdadi, a.k.a. Al-Badri or Caliph Ibrahim. In Helsinki, the capital of Finland the Kavkaz Center is maintaining a “pro-Caucasus Emirate” website. The Center provided PR support to the now deceased terrorist leaderDoku Umarov and his terrorist network. Umarov would threaten to disrupt the 2014 Sochi Winter Olympic Games before he was killed in an explosion. U.S. Civil Society organizations as well as CIA and JSOCfronts like USAID and the National Endowment for Democracy (NED) are known for their support of “Caucasian Rebels or Freedom Fighters”. A shortlist of the civil society organizations which have been implicated in supporting Russian terrorist organizations includes the Jamestown Foundation, the United States-Chechen Republic Alliance Inc., the American Committee for Peace in the Caucasus (ACPC), Freedom House, the Open Society Foundation, among many others. The former U.S. National Security Adviser Zbigniev Brzezinski is generally known as one of the main enablers and sponsors of the “Chechen Representation in the United States” led by Alisher Usmanov. Brzezinsky, for his part, is strongly supported by Rockefeller Foundation money. Brzezinski is according to several analysts pathologically obsessed with dividing Russia into at least six separate States” to reign in Moscow under the umbrella of a U.S. hegemony. It is noteworthy that Boris Nemtsov and the RPR-Psarnas party had close ties to the National Endowment of Democracy (NED). 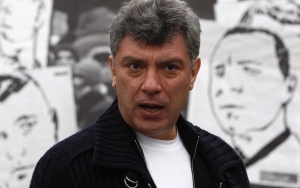 The alleged involvement of Chechen and Ingushetian nationals in the murder of Boris Nemtsov and the confession of the former Interior Ministry officer Dadayev is not unlikely to prompt in-depth “mole-hunt” operations in the federal and national Russian, Chechen, Ingushetian and other security forces as well as mole-hunts in foreign-backed NGO’s.